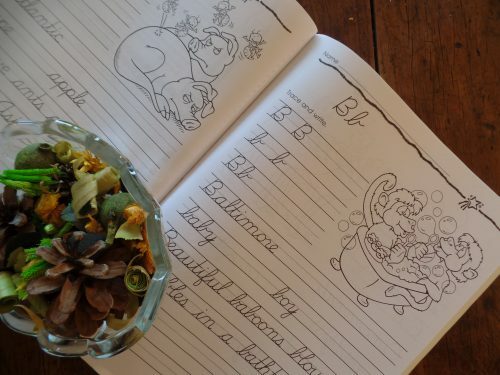 Are you wanting to teach cursive writing to your kids? In my opinion, handwriting is still so important even in this digital age. 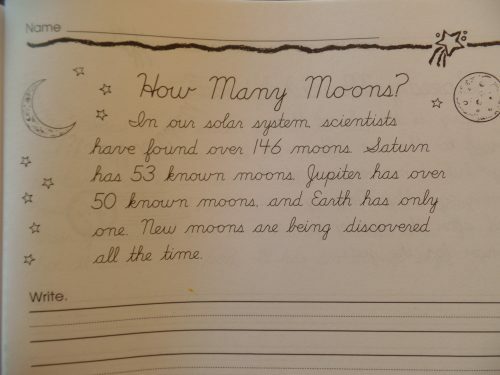 We included cursive writing in our homeschool because writing things down helps so much in helping remember and recall information. We wanted our daughter to know print and cursive, so she would have two options to choose from. Here are cursive handwriting resources for elementary. And did you know that some children who struggle with writing their letters in print have much more success with cursive. Especially children with dysgraphia. I recently found a simple frugal resource for teaching the basics of cursive writing to your young learners. It is called Success With Contemporary Cursive by Scholastic. It addresses all 26 letters of the alphabet with simple to follow directions. This workbook is aimed at 2nd to 4th graders but the practice pages for each letter could be used for any aged child. This workbook gives easy to follow instructions for showing your student how to form each letter. To teach each letter, there are arrows showing where to start the letter formation as well as what to do next. I did find that the arrows were a bit light in print, so I would suggest either making these arrows darker or showing your student how to form each letter by demonstrating it. They also include a number of interesting short stories to copy. These are on the solar system, planets and more. 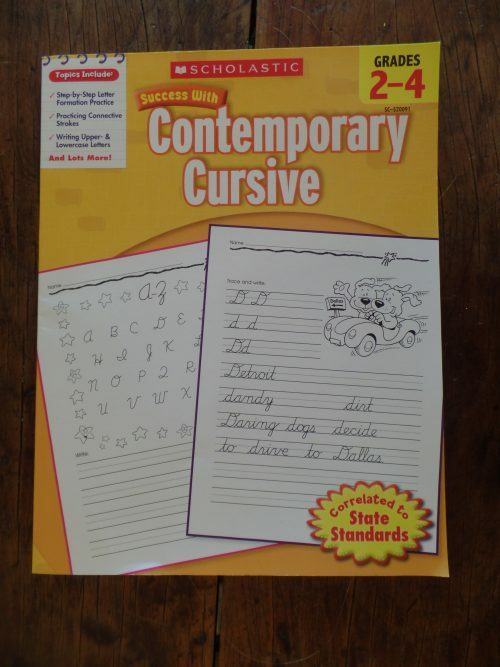 If you are looking for a simple guide and workbook for teaching cursive, my family recommends Success With Contemporary Cursive by Scholastic. For more information or to get your copy, click here. There are used options of this resource available there, too, at the price of $2.99. Betsy blogs at BJ’s Homeschool, about the early years, high school & college and wrote – Homeschooling High School with College in Mind. She offers free homeschool help through messages at BJ’s Consulting, and has had articles picked up by the Huffington Post.